Project: ZeBra Bras, a custom bra company which uses 3D imaging and printing to produce unique products. Ben holds a bachelor's of science in biology with a concentration in microbiology from Green Mountain College. He also completed a minor in chemistry. During college, Ben worked for a local coffee roastery and developed a software suite that can produce microscopic images using a normal cell phone camera. 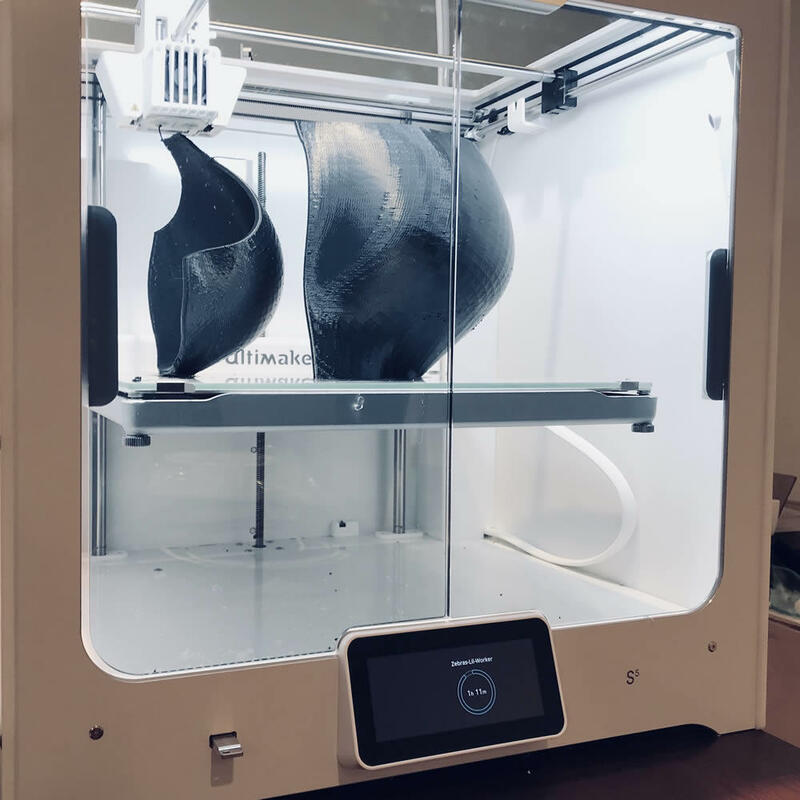 Ben is an expert in 3D printing technology, and is experimenting with new methods of producing flexible materials with 3D printers in his free time. At ZeBra Bras, he's the Component Production Manager, and ensures that underwires and foam cups are produced on time and meet quality standards. Hannah holds a bachelor's of science in nuclear engineering from Rensselaer Polytechnic Institute. She's been involved in creative activities throughout her life, from dance to sewing to drawing. Prior to starting ZeBra Bras, she worked at Knolls Atomic Power Laboratory in product development. Hannah began to develop the idea for ZeBra Bras with Ben Smith following a series of frustrating bra shopping experiences. At ZeBra Bras, she's the salesperson and the Completed Product Manager, in charge of ensuring that the final product is high quality and meets the customer's needs. The short version? ZeBra Bras makes custom bras. The long version? We use a 3D imaging camera to take precise measurements of our customers - down to hundredths of millimeters. We then use a computer aided design, or CAD, program to design the bra. This model is used to create the components of the bra - the underwire, the foam cups, and the fabric casing. The underwire is 3D printed, as is a mold for the foam cups. The CAD program generates a pattern for the fabric casing, and all of the parts are sewn together in our shop in Troy. In general, we aim to improve the fitting process for bras, and show our customers that undergarments don't need to be uncomfortable to provide support. We aim to focus on serving customers who are typically underserved. Right now, we are focused on two main groups of people. The first group is customers with unevenly-sized breasts. Many of these customers currently find a bra that is somewhere in between their two sizes, and then adjust their straps to approximate a fit. Others use padding to even out their sides. We can offer products that fit both sides evenly, and can even out the customer's appearance if they want. We are also focusing on serving the needs of trans customers. We have already worked to create a welcoming environment that trans people are comfortable entering. To increase the portion of the trans community we can serve, we are currently developing chest binders. These are typically sold online, difficult to fit, and uncomfortable. We believe that custom binders will help to improve the lives of our customers. This money would be used for two separate projects. First, we would allocate approximately half of the grant to spend on marketing. We would have professional photos taken of our products, and use these to develop several ads. We would run advertising on social media and in targeted print and web publications. Our target audiences would be breast cancer survivors, who are likely to be asymmetrically sized, and the trans community. The revenues generated from this campaign would be re-invested to broaden the reach of our marketing. We would use the other half of the money to purchase additional sewing machines. Both a heavy-duty sewing machine and a coverstitch machine would make our manufacturing process quicker, and help us to produce a higher-quality product.